The template of Push vs Pull Train Metaphor Shapes is an illustrative presentation of supply chain and logistics concepts. 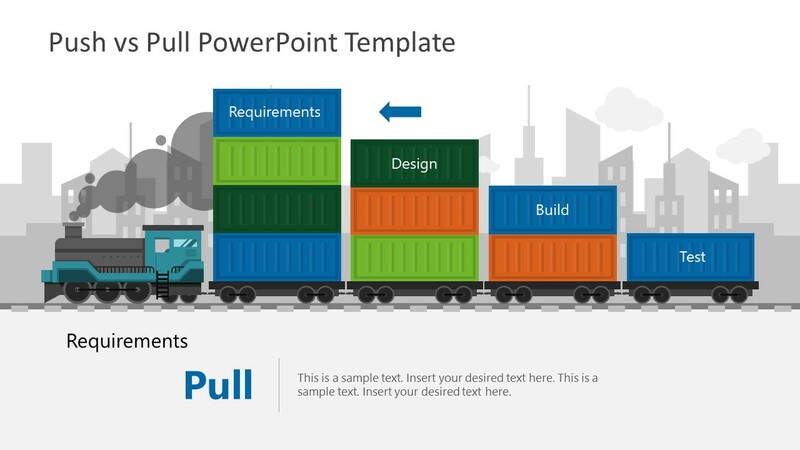 This PowerPoint template displays rail logistics for requirements and value concepts in two slides. For instance, the train engine on left depicts pull (requirements). And, engine on right side of rail shows push (value). Hence this push-pull trains shows the configuration control of locomotives from both ends. The image of cargo containers on logistic rail highlights four major processes which sum-up any project development cycle. These include requirements, design, build, and test. This template is a colorful presentation of flat editable objects. Apart from these objects display, a translucent industrial background appeals to the audience. 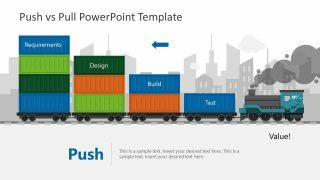 The Push vs Pull Train Metaphor Shapes PowerPoint assist business professionals to promote logistic and marketing strategies. 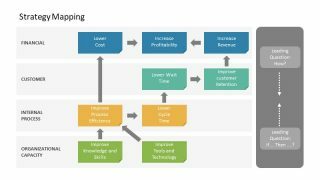 Because two slides of push and pull demonstrate two different strategic models to approach customers. For example, a pull strategy relies on “get customers to come to you” i.e. encouraging customers to seek product or brand. Whereas, pus strategy makes customer aware of product or brand. 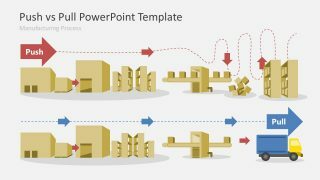 This is an editable PowerPoint template of two colorful slides. The users can change colors from solid and outline fill. The shape of train engine is also a collection of clipart icons. Therefore, users can modify size and colors of individual items. 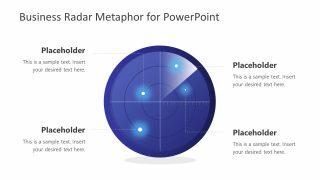 The visual representation of push and pull metaphors will enhance an overall outlook of sales and marketing presentation. 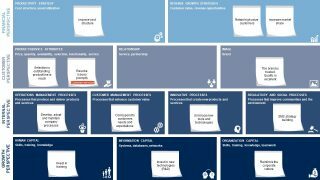 Hence the marketing and logistics professionals and businesses can benefit from these slide layouts.